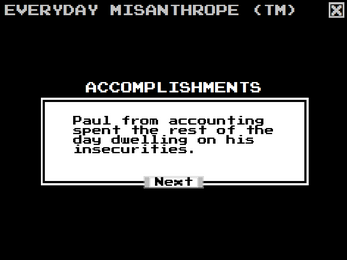 Everyday Misanthrope is a choose-your-own-misery simulation in which you gain catharsis from spreading everyday suffering. 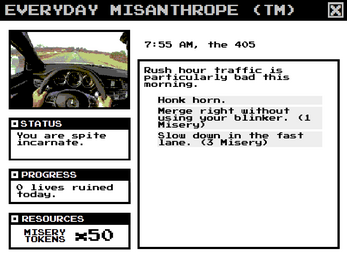 This game was created for Ludum Dare 33 and entered in the jam portion of the competition. Play time is 5-10 minutes. 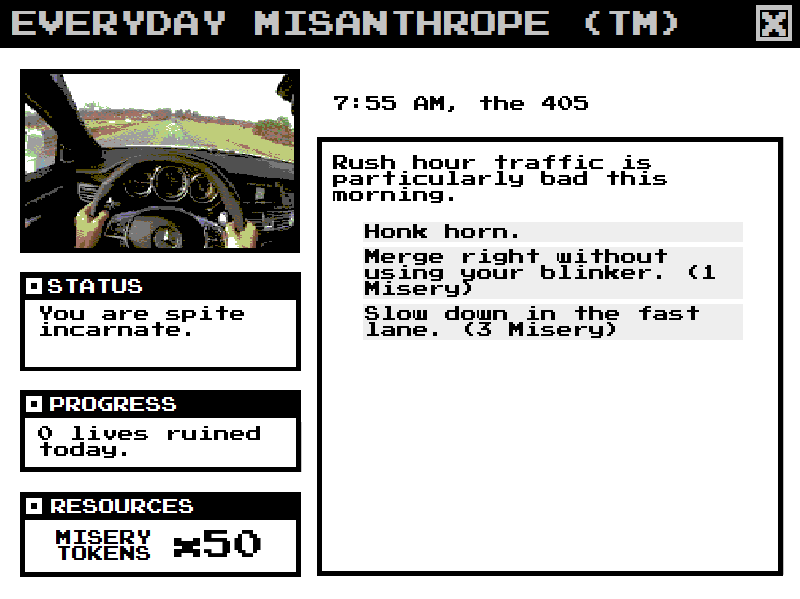 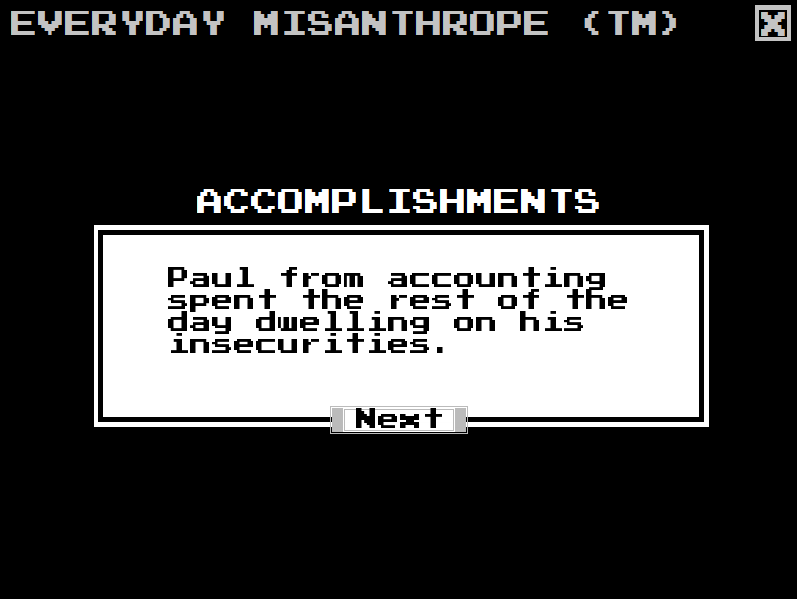 Everyday Misanthrope is now available to play in Turkish! 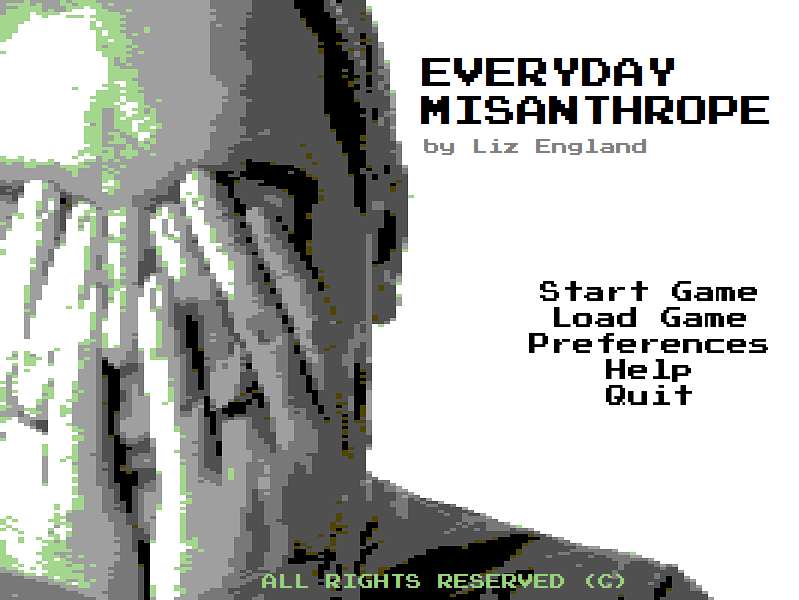 Many thanks to the wonderful Ece Tavaslı for the translation.